This article lists events related to rail transport that occurred in 1979. January – An electrical fire erupts aboard a Bay Area Rapid Transit (BART) train traveling in the transbay tube; the fire kills one firefighter and closes the system for more than two months. February 1 – The Southern Railway's Southern Crescent becomes Amtrak's Crescent as Southern discontinues independent passenger train service. February 26 – The Superliner railcar enters revenue service with Amtrak. 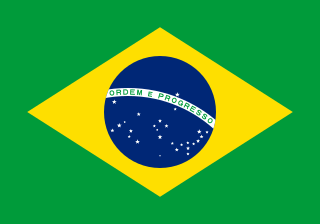 March – Rio de Janeiro Metro in Brazil begins operation. March 17 – Penmanshiel Tunnel on British Rail collapses during reconstruction, killing two workers. April 16 – The Paisley Gilmour Street rail accident kills seven people in near Paisley Gilmour Street railway station in Scotland when an Inverclyde Line service from Glasgow Central to Wemyss Bay collided head-on with an Ayrshire Coast Line special service from Ayr. Seven people were killed. The Paisley Gilmour Street rail accident occurred on 16 April 1979 at 19:50. The 19:40 Inverclyde Line service from Glasgow Central to Wemyss Bay, operated by two Class 303 trains, crossed from the Down Fast Line to the Down Gourock Line under clear signals at Wallneuk Junction immediately to the east of Paisley Gilmour Street railway station. It collided head-on with the 18:58 Ayrshire Coast Line special service from Ayr to Glasgow Central, formed of two Class 126 diesel multiple units, which had left Platform 2 against a red signal P31. Paisley Gilmour Street railway station is the largest of the four stations serving the town of Paisley, Renfrewshire, Scotland, and acts as the town's principal railway station. The station is managed by Abellio ScotRail and is on the Ayrshire Coast Line, 7 1⁄4 miles (11.7 km) west of Glasgow Central. The station is protected as a category B listed building. The Inverclyde Line is a railway line running from Glasgow Central station through Paisley and a series of stations to the south of the River Clyde and the Firth of Clyde, terminating at Gourock and Wemyss Bay, where it connects to Caledonian MacBrayne ferry services. The line has been in operation since the 1840s between Glasgow and Greenock and was the first passenger service to follow the River Clyde to the coast. The line was electrified in 1967. May 1 – The Jubilee line on the London Underground opens between Stanmore and Charing Cross. June 23 – New South Wales Premier Neville Wran officially opens the Eastern Suburbs Railway in Sydney. It operates as a shuttle between Central & Bondi Junction until full integration with the Illawarra Line during 1980. June 30 – MARTA's rail transit system opens in Atlanta, Georgia as its first train operates on the East Line between Avondale and Five Points Station. It also marks the start of MARTA's combined bus and rail service. August 20 – San Diego's Metropolitan Transit Development Board (MTDB) purchases the San Diego and Arizona Eastern Railway Company in restored condition for $18.1 million. August 20 – The East Coast Main Line rail route between England and Scotland is restored when the Penmanshiel Diversion opens. August 29 – Bangor and Aroostook Railroad discontinues hauling potatoes; it was for this business that the railroad painted many of their boxcars in a distinctive red, white and blue "State of Maine" livery. September 8 – Restored Nickel Plate 765 is unveiled. September 27 – The Lenk branch of the metre gauge Montreux–Oberland Bernois railway in Switzerland is reopened after a complete rebuilding. Hong Kong's first MTR line, the Kwun Tong Line from Shek Kip Mei to Kwun Tong, is opened. The permanent building at Amtrak's Dearborn, Michigan station opens. October 22 – The Invergowrie rail crash, in Invergowrie, Scotland, occurs when a track signal fails to switch to a stop indication that would have protected a stalled passenger train; a second passenger train collides with the stalled train, resulting in 5 fatalities. Amtrak opens Buffalo–Depew, replacing Buffalo Central Terminal. Amtrak introduces double decker Superliner coaches on the Empire Builder passenger train. November 10 – 1979 Mississauga train derailment: A CP Rail train develops a hot box and derails 24 cars carrying hazardous materials near Mississauga, Ontario; almost 250,000 people are evacuated for up to five days at a time while cleanup commences. November 16 – The first line of the Bucharest Metro, Line M1, opens from Timpuri Noi to Semănătoarea in Bucharest, Romania. November 17 – The first stage of Brisbane Suburban Electrification between Ferny Grove and Darra is commissioned by the Queensland Premier Joh Bjelke-Petersen. It is the first section of electrification in Australia to use 25,000 volts 50 Hz overhead power supply. December – Amtrak discontinues the Floridian , Lone Star and North Coast Hiawatha passenger trains. December – Union Pacific 3985, a 4-6-6-4 steam locomotive, is moved from static display in Cheyenne, Wyoming, for inspection and eventual restoration for operations. December – Nickel Plate 765, a 2-8-4 steam locomotive, operates under its own power after 21 years of static display. Alan Furth succeeds Denman McNear as president of the Southern Pacific Company, parent company of the Southern Pacific Railroad. The Federal Government of the United States relinquishes control of the Panama Railway, transferring the railway to the government of Panama. May 9 - Cyrus S. Eaton, president of the Chesapeake and Ohio Railway in the 1950s (b. 1883). May 16 - A. Philip Randolph, who organized the Brotherhood of Sleeping Car Porters in 1925 (b. 1889). The Nickey line is a disused railway that once linked the towns of Hemel Hempstead and, initially, Luton but later Harpenden via Redbourn, in Hertfordshire, England. The course of most of the railway has been redeveloped as a cycle and walking path, and is part of the Oxford to Welwyn Garden City route of the National Cycle Network. It is approximately nine miles (14 km) long. NJ Transit Rail Operations is the rail division of NJ Transit. It operates commuter rail service in New Jersey, with most service centered on transportation to and from New York City, Hoboken, and Newark. NJ Transit also operates rail service in Orange and Rockland counties in New York under contract to Metro-North Railroad. The commuter rail lines had an average weekday ridership of 306,892 from June 1, 2015 to June 30, 2016. This does not include NJ Transit's light rail operations. The Surf Line is a railroad line that runs from San Diego north to Orange County along California's Pacific Coast. It was so named because much of the line was near the Pacific Ocean, within less than 100 feet in places. The tracks are now owned by the Southern California Regional Rail Authority and the North County Transit District, and hosts Metrolink's Orange County Line and Inland Empire–Orange County Line, the San Diego Coaster, and Amtrak Pacific Surfliner passenger trains. The BNSF Railway operates freight over the line using trackage rights. Hemel Hempstead railway station is on the West Coast Main Line, on the western edge of the town of Hemel Hempstead, Hertfordshire, England. The station is 24 1⁄2 miles (39.4 km) north-west of London Euston on the West Coast Main Line. Hemel Hempstead is managed by London Northwestern Railway and all train services are operated by London Northwestern Railway and Southern. The Richmond Transit Center is a Bay Area Rapid Transit (BART) and Amtrak station located in Richmond, California. Richmond is the north terminus of BART service on the Richmond–Warm Springs/South Fremont line and Richmond–Daly City/Millbrae line; it is a stop for Amtrak's Capitol Corridor, San Joaquin, and California Zephyr routes. It is one of two transfer points between BART and Amtrak, along with Oakland Coliseum station. Heath Park Halt was a railway station in Hemel Hempstead, Hertfordshire in England, UK. It was the terminus for passenger services on the Nicky Line, a 9-mile (14 km) branch line which ran from Harpenden into Hemel Hempstead town centre. Passenger services were withdrawn in 1947, and the station closed with the line in 1960. The Bowie Railroad Buildings comprise three small frame structures at the former Bowie train station, located at the junction of what is now the Northeast Corridor and the Pope's Creek Subdivision in the town center of Bowie, Maryland. The complex includes a single-story freight depot, a two-story interlocking tower, and an open passenger shed. The station was served by passenger trains from 1872 until 1989, when it was replaced by Bowie State station nearby. The buildings were restored in 1992 as the Bowie Railroad Museum and added to the National Register of Historic Places in 1998. The John W. Olver Transit Center, also called the JWO Transit Center, is an intermodal transit hub for Franklin County, Massachusetts. It currently serves Franklin Regional Transit Authority (FRTA) local bus routes plus intercity bus service. The center is also a train station that services Amtrak's Vermonter line. 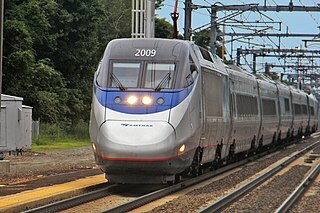 A two-year pilot program will add two daily Amtrak Shuttle round trips in June 2019. Hemel Hempsted station was a railway station in the town of Hemel Hempstead in Hertfordshire, England. UK. It was opened in 1877 by the Midland Railway and was originally the terminus of the Nickey Line, a now-defunct branch line which provided railway services to Chiltern Green and Luton and later to Harpenden. Colin Churcher's Railway Pages (August 16, 2005), Significant dates in Canadian railway history . Retrieved November 8, 2005. Rivanna Chapter National Railway Historical Society (2005), This Month in Railroad History: August . Retrieved August 29, 2005. Rivanna Chapter National Railway Historical Society (2005), This Month in Railroad History: October . Retrieved October 28, 2005. ↑ Woodward, Sue; Woodward, Geoff (1996). The Harpenden to Hemel Hempstead Railway – The Nickey Line. Oakwood Press. p. 149. ISBN 0-85361-502-0.